Reference personnel are available to assist you from 8:00 A.M. to 5:00 P.M., Monday through Friday, in the Library Research Services Office (Level 2, LIB-222). At other times, request research help at the service desk by the main entrance. For research-related questions or requests, call us at 817-735-2070 or toll-free at 800-687-5302. We'll try to help you over the phone, or you can schedule an appointment for an individual consultation with a librarian. For questions about your borrowing account or Pharos copy/print account, call 817-735-2465. For help with a document delivery or interlibrary loan request, call 817-735-2464. For other numbers, see librarians & staff. For research-related requests, use the Ask Us form. Librarians will respond during weekday hours. 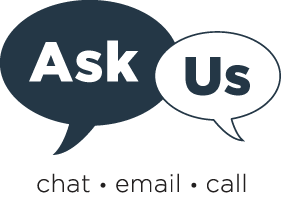 If you have a question about your borrowing account, send an e-mail message to libcirc@unthsc.edu. For staff e-mail addresses, see librarians & staff. See our FAQ for a list of frequently asked questions. For more information about services we offer, see reference services. To learn how to use research databases and other online resources, see database tutorials & help. To get librarian recommendations on the best resources for common research topics, see our research guides. To view your borrowing account information and renew items, see borrowing account information. If you have a question about document delivery, see document delivery / interlibrary loan.